The Rotary Equipment has the following features: gantry system, power system, conveyor chain system, and track system. 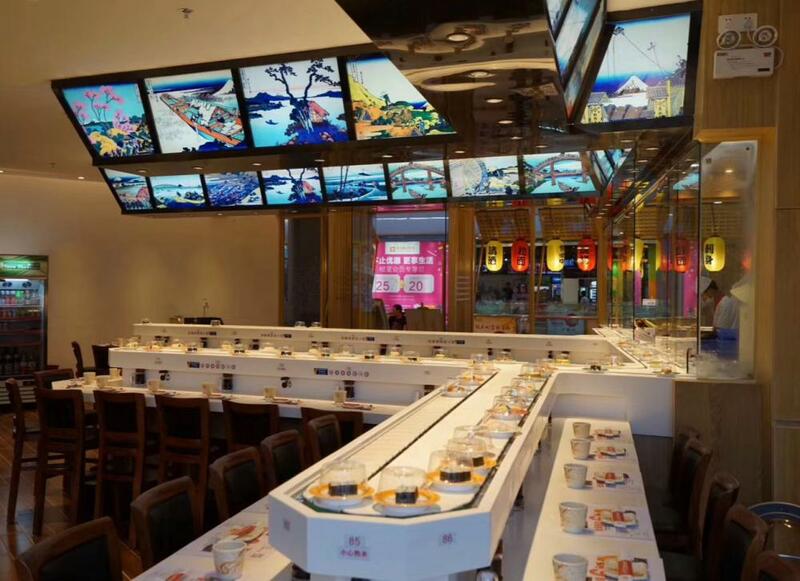 Our Rotary Sushi Conveyor Belt adopts imported electrical components, chain pieces and guide rails, all made of 304 stainless steel material, with stainless steel mirror panel or stainless steel brushed panel, the appearance is neat and beautiful. Horizontal transmission conveyor usually refers to conveyor belt or Rotary Sushi Conveyor Belt, general automation plant has, is in the production process to the product transmission, export or import.It's easier to make.In some special industries, conveyor belts also have particularity, rotary type, spiral type.Material of conveyor belt, power, size and so on can be customized according to customer demand. Looking for ideal Factory Customized Sushi Conveyor Belt Manufacturer & supplier ? We have a wide selection at great prices to help you get creative. All the Production Sushi Conveyor Belt are quality guaranteed. We are China Origin Factory of Hot Sale Products Sushi Belt Conveyor. If you have any question, please feel free to contact us.